Warning: This is a review of book 5 in a series so it may contain spoilers for the other books in this series. 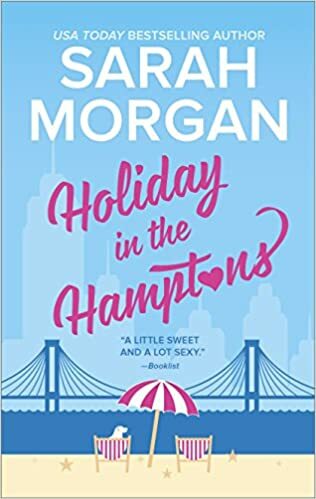 Review: This is book 5 in the From Manhattan With Love Series, written by Sarah Morgan. I am actually loving this series and hope it continues for many more parts. In each book, the reader is introduced to a few new characters, as well as renewing their acquaintance with some familiar faces from previous stories. Despite this, each book can be read quite easily as a standalone. All in all, a satisfying format. The theme running through this book is relationships and friendships. The spotlight is on Fliss, who, along with her twin sister, Harriet, runs a successful dog walking business, the Bark Rangers (love the name), in Manhattan. For reasons I will not go into for fear of spoiling the book for others, she ends up spending the summer in the Hamptons, living with her grandmother and Grams' dog, Charlie. 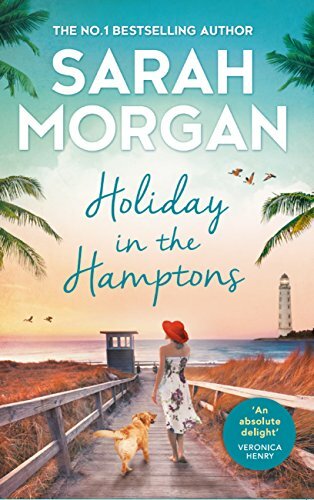 There, she relives memories of a time when all her family summer holidays were spent there and meets up with old acquaintances, including ex-husband, Seth, who she hasn't seen for 10 years. The question is - how do they feel about each other now and is their relationship really over? All kinds of secrets come out as the story progresses. I very much enjoyed this book. It is a perfect summer read, set as it is amongst the sand dunes; you can almost hear the water lapping against the sides of the yachts. Even the cover speaks of summer; I could just imagine myself walking down that path onto the beach with a golden-coated dog by my side. Dogs play a big part in this, as in other, Sarah Morgan stories. If you're looking for a book to add to your holiday bundle, this could be an ideal choice.